Surrey fast bowler Matt Dunn has signed a new three-year contract, keeping him at The Oval until the end of 2018. 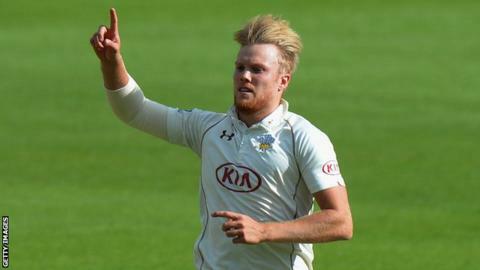 The 23-year-old took 28 wickets at an average of 35.14 in nine County Championships appearances this year as Surrey won the Division Two title. "Matt has continued his development nicely," Surrey director of cricket Alec Stewart told the club website. "He will play a big role within our attack in all formats over the coming years." Dunn becomes the latest player to extend his stay with Surrey, after Zafar Ansari, James Burke, Rory Burns, Tom and Sam Curran, Ben Foakes and Jason Roy all signed new deals in recent weeks.